If your hair is already stressed from years of coloring a popular option for creating the on-trend balayage /ombre effect is to use hair extensions rather than through coloring the actual hair. Ombre extensions are perfect to add length and color effects in an instant and anyone can pull them off with a good ombre extension set. Here is some information for styling your ombre hair. 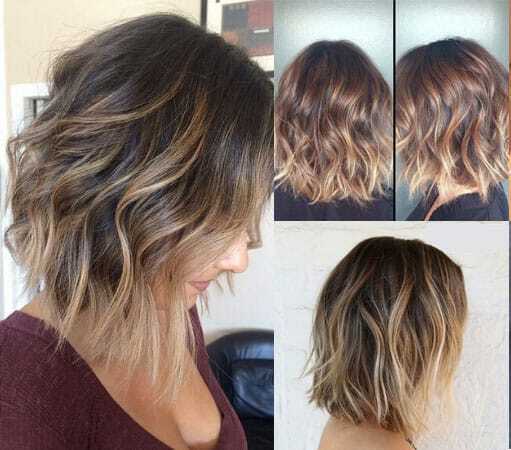 Furthermore, lighter ombre will work if you have them cut and blended or you already have ombre hair. The great benefit for those with short to medium hair lengths is that they are able to change their hair color effortlessly in an instant with ombre extensions. Also, you do not need to color your own hair and will be able to save your money and hair while still achieving the ombre look. Just be sure to have your ombre extensions cut and blended in the salon for the most natural look. If you have short or medium length hair, you will be able to wear ombre hair extensions without ALREADY having your own hair ombre. (No chemicals required, no money spent on color at the salon). When you have short to medium length hair you are able to wear hair extensions. They will blend effortlessly and will instantly add a pop of color. When purchasing ombre extensions simply match the base color of the extensions to your own hair color. And then choose the ombre color you want. Keep in mind, a more natural fade will look most natural. For example, the chestnut brown ombre is the most popular as it looks natural and blends well. Next, if you have long hair you will need to have your ends ombre already to make sure that the extensions you choose match your current ombre hair. If you have long hair that is one solid color and you attempt to wear ombre hair extensions it will not look natural and most will recognize that you are wearing hair extensions. When purchasing ombre extensions choose a base and ombre color that is very similar to your ombre hair. Keep in mind that you can go 1-3 shades within your ombre colors and it will still blend well. Just be sure to use a color ring or sample to match your own hair. Almost anyone can wear ombre extensions, but the most important part is making sure they match your hair and that the extensions are cut and blended in the salon. Having hair extensions cut will make them undetectable and will make all the difference. Not all ombre hair extensions are created equal, so be sure to know what the hair looks like before you buy. The most important part of choosing ombre hair extensions is to make sure you are purchasing from a company that has a great ombre blend and fade. The fade in the ombre extensions is the most important part of purchasing ombre extensions. A lot of companies have straight lines or don’t even blend at all! This is due to mass production manufacturing problems. Here at Layla hair, we have a strict quality control for our ombre extensions to ensure each batch has a natural ombre fade as if the hair stylist just hand painted the extensions themselves. Moreover, we have tested many ombre extensions and have found that not all hair extension companies are committed to taking the time to oversee the ombre fade! When this happens you end up with low-quality hair extensions and wasted your money. Be sure that you purchase a set of ombre extensions that are faded and blended perfectly. Any harsh lines and bad blending will look fake and you will not love your hair extensions. Be sure to buy ombre extensions that look as if a hairstylist did it. I love this technique so much is that it looks good on almost anyone. You’d be surprised how many our clients would look terrible if you put light pieces at their roots. But when you put them beneath the hairline, it looks amazing on anyone. 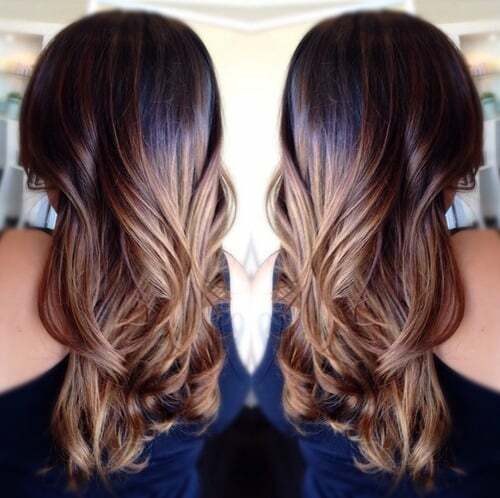 Tell us, do you like ombre extensions? Have you had a great experience wearing them?